Sales flyer for new homes in Levittown, PA. The captions read “One of four different styles of the Jubilee . . . the Colonial . . . the Pennsylvanian . . . of the Country Clubber.” Image courtesy of the State Museum of Pennsylvania’s online exhibit on Levittown. In August 1957 a federal district court ordered nine African American students admitted to Central High School in Little Rock, Arkansas, but Governor Orval Faubus used the National Guard to prevent them from entering the school. 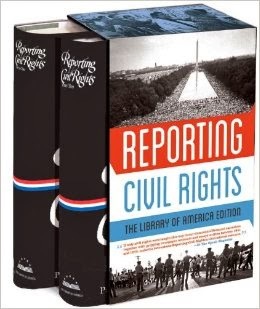 Reporters from across the country descended upon the city, and the tense atmosphere of those first days of school dominated the nation’s headlines. After the district court ordered Faubus to end his interference, the governor withdrew the Guard, but on September 23 the students were attacked by a large mob. In a telegram to President Eisenhower, Martin Luther King Jr. wrote, “I urgently request you to take a strong forthright stand in the Little Rock situation. If the federal government fails to take a strong positive stand at this time it will set the process of integration back fifty years.” Eisenhower sent more than 1,000 paratroopers and placed the Arkansas National Guard under federal control. “The Little Rock Nine,” as they are known, were escorted to class by armed soldiers on September 25. Meanwhile, 1,200 miles to the northeast in the quiet suburb of Levittown, Pennsylvania, William and Daisy Myers spent the month of August moving into the four-year-old home they had just purchased at the recommendation of their new next-door neighbor. They little imagined what would greet them. David B. Bittan, another neighbor and a Philadelphia Daily News journalist, wrote about the Myers’s experiences for Look magazine, and “Ordeal in Levittown” was published the following summer. 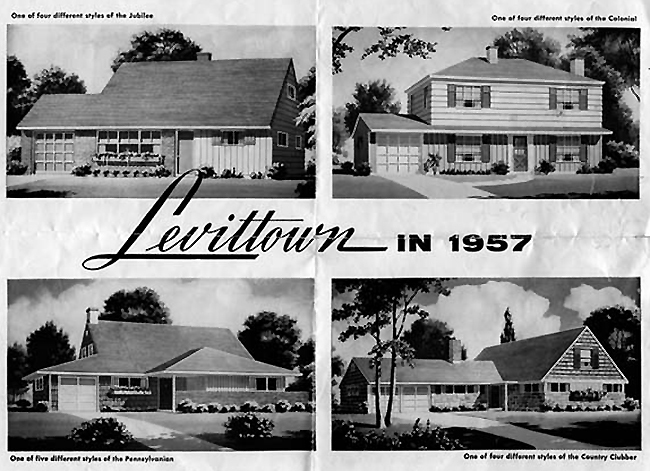 The Pennsylvania community was the second of four Levittowns built by brothers William and Arthur Levitt. (The other three are in New Jersey, New York, and Puerto Rico.) When initially constructed, the developments had stringent rules, including prohibitions against fencing off the yards, which the Levitts felt would ruin the sense of community among neighbors, and hanging laundry out to dry on Sunday. And the Levitts pointedly refused to sell the homes they built to African Americans. In spite of the couple’s month-long nightmare in Levittown, Daisy Myers (who went on to become an elementary school principal and, for two decades, assistant to U.S. Representative William F. Goodling) always accentuated the positive side. "I look back on it as not a bad time in my life,” she told The Baltimore Sun in 1997. “With all of my schooling [two Master's degrees], I would never have learned as much about human nature as I did then, and I wouldn't have met such fine people like Martin Luther King, Pearl Buck, and Jackie Robinson.” Similarly, after her retirement and her husband’s death in 1999, she told The Philadelphia Inquirer, “I remember well all the bad days and nights, but I also remember the good days, the good people and their good deeds. In fact, for every evil event, there were two, three, or more good events.” She went on to say that if her husband had not changed jobs in 1961, “I probably would have been there today.” Daisy Myers died in 2011. Note: On the last page Bittan mentions J. Robert Oppenheimer, the physicist who directed the design of the first atomic bombs at Los Alamos and who had his security clearance revoked by the Atomic Energy Commission in 1954 after being accused of disloyalty. Dogwood Hollow was like any other mass-produced suburb on August 11 of last summer—hot, humid and saturated with boredom. . . . If you don't see the full selection below, click here (PDF) or click here (Google Docs) to read it—free! I have never heard of this book, until now; this is something that I definitely want to read. It is a piece of American history.